Each month, AcuComm’s db Monitor features a special tech area focus. 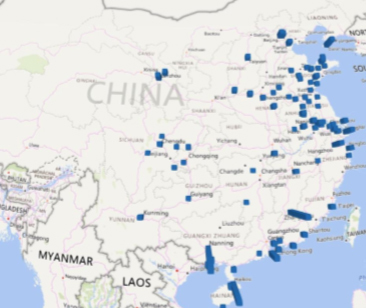 This month highlights the treatment and disposal of Municipal Solid Waste (MSW) in China. 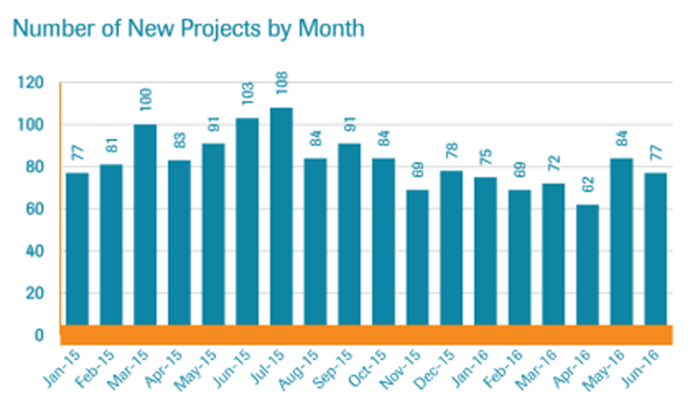 AcuComm currently holds over 90 active MSW projects, of which 43 were added since January 2015. In total, the estimated investment value of all projects is just over US$15.6 billion. Whilst opportunities are constantly growing inland, the majority of investments are strongly concentrated in the wealthier, more urbanised areas along the eastern coast. These areas find that space is at a premium, with landfill or dumping of waste becoming increasingly unviable. The average value of a waste treatment project in China is US$166 million. A few are worth considerably more, such as a new WtE plant in Haikou, Hainan province, which is valued at US$777 million. 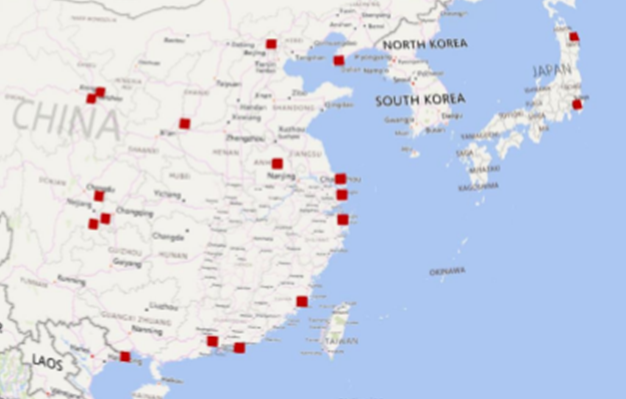 AcuComm currently lists seven WtE projects in China with planned generation of 50 MW or above. The largest is a 200 MW gasification plant planned in Zhuhai, Guangdong province. 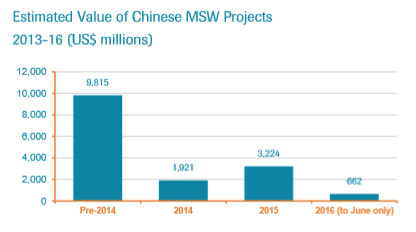 MSW in China is growing in popularity, with a number of domestic and overseas companies now serving the market. To find out which are the most significant, and for detailed information on each project in our database, subscribe to AcuComm’s Packages today. In the week ended 26th August 2016, AcuComm added 41 new or updated waste projects to our Business db, worth an estimated US$4,461 million and waste capacity of just under 9.7 million tonnes. This takes the total estimated investment value of projects since 2013 to US$333.2 billion. Waste biomass was the leading feedstock type reported on in the past week, accounting for an estimated 2.6 million tonnes, or 27.4% of the total. The leading country in the past week was the UK with nine projects, followed by the USA with seven. AcuComm’s Weekly Project Updates are powered by Search Analytics, perfect for assessing sales pipeline potential through your own tailored list of new business opportunities. As part of our Sales Package, you can gain access to this and more, including daily updates of new and existing projects, meaning you don’t miss out on the latest developments. Try out the Search function today to see the benefits for yourself. In the week ended 19th August 2016, AcuComm added 40 new or updated waste projects to our Business db, worth an estimated US$3,940 million and waste capacity of just under 9.5 million tonnes. This takes the total estimated value of projects since 2013 to US$332.6 billion. WtE incineration was the largest category in terms of waste capacity, accounting for just over 4 million tonnes. The leading country in the past week was the USA with seven projects, followed by the UK with six. With AcuComm’s Sales Package, you can gain access to the most comprehensive and accurate source of intelligent sales information for the Waste, Bioenergy and Recycling sectors. As well as weekly updates, you can identify and engage with the specific developments that are right for your organisation. For more information on how our proprietary Business db benefits a number of leading organisations, click here. Lahore Waste Management Company is planning to build a recycling facility and a waste transfer station for construction and demolition (C&D) waste near Thokar Niaz Baig in southern Lahore. Incorporating a crusher to crush concrete and similar materials for reuse in the construction industry, this will be the first plant in Lahore for recycling C&D waste. Ellomay Capital and Ludan Energy Overseas, a wholly-owned subsidiary of Ludan Engineering, plan to collaborate on the development of anaerobic digestion and biogas plants in the Netherlands. The expected over overall cost of the projects is approximately €200 million (including project financing). For the latest developments, click here. As part of AcuComm’s monthly issue of db Monitor, our latest special company focus report is based on Martin GmbH. Founded in 1925 in Munich, Germany, where it remains based, the company has grown to become one of the foremost suppliers of equipment and technology to waste-to-energy (WtE) plants around the world. Covering all areas of waste plant construction, Martin GmbH claims to have been involved with the installation or upgrading of over 780 WtE waste lines across the world. AcuComm currently lists 25 recent projects that involve the company as either the main contractor or subsidiary partner. Much of Martin GmbH’s investment and recent activity has been focused in Asia and Europe. 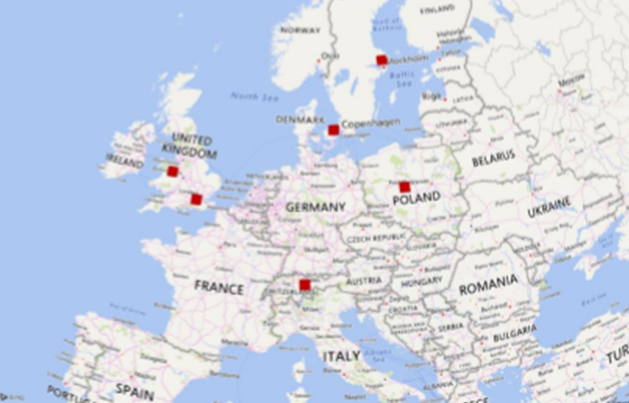 There are a number of projects currently ongoing in the UK, China and more. To find out more about Martin GmbH and their latest investments, arrange a demo with AcuComm today to see which of our Packages fits your criteria. In the week ended 12th August 2016, AcuComm added 40 new or updated waste projects to our Business db, worth an estimated US$3,769 million and waste capacity of just under 11.3 million tonnes. This takes the total estimated investment value of projects since 2013 to US$331.2 billion. Municipal Solid Waste (MSW) was the leading feedstock from the past week, accounting for an estimated 3.7 million tonnes, or 33.1% of the total. 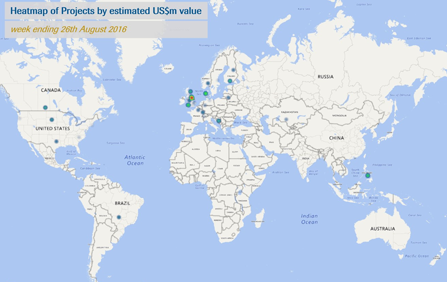 The leading countries from the past week were the USA with eleven projects, followed by the UK with seven and China with three. Powered by AcuComm’s Search Analytics, Business db is a quick and efficient way to access project overviews to assess the opportunities that are relevant to your organisation. Simply define your criteria, press search and instantly generate your tailored sales pipeline of the latest projects. Aqua Metals opened the world’s first AquaRefinery clean battery recycling commercial facility on 28th July in McCarran, NV. The AquaRefinery is due to achieve a production rate of 80 tonnes of lead per day by the end of 2016 and then expand production to 160 tonnes per day by 2018. The company designed the facility in order to accommodate a total of 32 AquaRefining modules and additional battery breaking and component separations equipment sufficient to support expansion. For more information on the new facility, click here. China Everbright International has won a build-own-operate contract for the Can Tho waste-to-energy (WtE) project. The facility will be Vietnam’s first high standard WtE project. It is designed to have a daily household waste processing capacity of 400 tonnes and will be equipped with a 7.5 MW power generator. This is expected to generate approximately 60,000,000 kWh of green electricity annually. Wheelabrator Technologies is to build a new £340 million waste-to-energy (WtE) plant at Kemsley, near Sittingbourne in Kent. The K3 CHP facility will process approximately 550,000 tonnes per annum of waste and supply up to 154 GWh of renewable electricity annually to the National Grid, as well as 180 GWh of heat to the DS Smith paper mill at Kemsley. Generating capacity will be 45 MW. On 28th July 2016, the Green Investment Bank announced that it has committed £80 million of senior debt to the construction of the facility and Wheelabrator has secured more than £300 million of debt. Constructions industrielles de la Méditerranée (CNIM) has been awarded the engineering, procurement and construction (EPC) contract for the project. One of the largest anaerobic digestion plants in Europe has been completed at Bevtoft in Vojens, with a biomethane output capacity equivalent to an electricity output of 11 MW. The plant was developed by a 50-50 joint venture between E.ON and Sønderjysk Biogas (a collective of the 82 farmers supplying the substrate). I passionately believe in good quality Business Intelligence. It plays a central part in developing great companies. In my 30 years’ of experience in providing leading multi-national companies, government bodies and trade organisations with strategic market information, I have never seen this to be more relevant than it is today. We have entered into an era where business information has become a vital key in carving a successful way forward. Whether it be for innovation, product development or effectively capturing the imagination and interest of target groups. The arrival of the Internet has been both a blessing and a curse. The blessing is of course that basic information has become truly accessible; the curse is that processing it into meaningful intelligence has become a time consuming and costly affair. The perception of ‘free information’ is, as a result, a bit of a red herring. The reality is that this information has always been free, and for good reasons – it serves a purpose for the purveyor of it! Guaranteed unbiased, independent, quality research always carries a price. The processing, interpretation, contextualisation and turning of basic raw information into relevant and statistically significant data requires investment, skill, experience and attention to minute details. Moreover, the information offered must also be unique and of the highest possible quality to be of value to the user. Only then does it become “Business Intelligence”. But Business Intelligence is fairly redundant unless it delivers tangible results for everyone involved. It must fulfil the strategic needs at boardroom level, as well as being directly implementable by your sales functions. 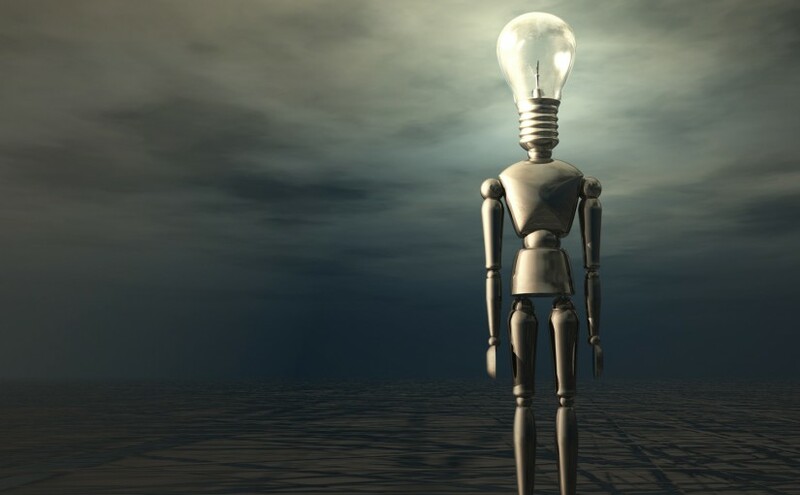 Business Intelligence can be a great leveller. Whether you are big or small, with the right intelligence, any sized organisation can gain a significant competitive edge. So with that in mind, have you considered the quality and utility of the Business Intelligence in your business? Do you have any? Do you use it effectively? Answering these questions is the first step on a business’ journey to smashing sales targets and developing new markets. To get a taster of the type of Business Intelligence that AcuComm can provide you with, sign up for our latest project updates and receive full access to one project every day. To sign up, click here and scroll down to enter your email. In the week ended 5th August 2016, AcuComm added 44 new or updated waste projects to our Business db, worth an estimated US$5,019 million and waste capacity of just under 11.6 million tonnes. This takes the total estimated investment value of projects to US$329.9 billion. Municipal Solid Waste (MSW) was the leading feedstock type reported on in the past week, accounting for an estimated 5.3 million tonnes, or 45.6% of the total. The leading countries from the past week were the USA with 11 projects, followed by the UK with five, Japan with four and China with three. Have you put AcuComm’s Search Analytics to the test? If not, you are missing out on unlimited downloads of project data and contact information, giving you a ready-made pipeline of business opportunities to access as and when necessary. To find out how Search Analytics could benefit your business, book a demo today. The latest issue of AcuComm’s db Monitor is out now! AcuComm’s monthly publication of db Monitor, as part of the Executive Package, is the only source of “real-time” market insights and analysis into the global Waste, Bioenergy and Recycling sectors. The data enables businesses to identify opportunities for growth, as well as providing your sales functions with the direct contact details for decision makers associated with the projects. 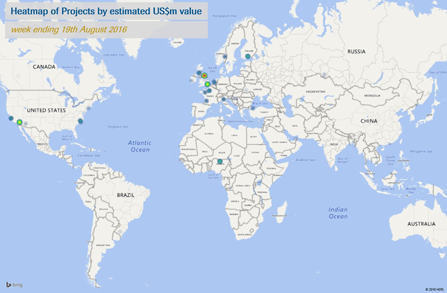 The latest waste plant developments in June 2016. Trends in waste plant development over the last 12 months. Listings of new and existing projects and plant contractors, with links to further information. Also featured this month is our special company focus on Martin GmbH, as well as a special tech focus report on WtE in China. Each new waste project represents ongoing investment of an average of around US$63 million. General municipal waste accounts for a significant part of waste throughput, although it is by no means the only feedstock. Incineration with energy recovery represented 42.7% of estimated new capacity in June 2016. Municipal Solid Waste accounted for 31.1% of waste capacity in projects covered in the Business Finder database in June 2016. WtE incineration and biofuels dominated the reported power generation of projects. 9% of proposed power generation was through incineration, principally using wood, plant biomass, other organic materials and MSW as feedstocks. Biomass and wood-based materials – whether waste products or grown specially – are increasingly being used as a fuel for providing domestic power for heat and light. If you’d like to find out more about db Monitor and how it could benefit your business, take a look at the Executive Package and book a demo with us today.